Let me stipulate that many of the shows we talk about are, in fact, amazing. So, too, is the virtuosic corps of TV critics who attest to our amazement. Their work enlightens and informs us, but that only makes the problem worse. Expert TV talk seems effortless, like anyone could do it. It tempts us into being bores. Here’s what happens at the table: A friend posits that a show is great; the rest of us agree. It’s the dinner-party version of a Facebook post, where guests take turns punching at the “like” button. This is not spelunking for a deeper truth, it’s following the path of least resistance, or retreating to a common ground. A linguist might call it phatic speech — blabbing for the sake of social bonding. I call it giving up. Hold on there. Phatic language aka small talk that promotes social bonding has its uses – even on Twitter, where babble reportedly comprises 40% of even those scant 140 characters. Actually, those joke-to-narrative ratios do say quite a lot about the wacky ambience of 30 Rock and Parks and Recreation vis a vis Modern Family and Curb Your Enthusiasm …. although with MF I’m betting that Phil’s high joke ratio probably inflates the MF average somewhat, in mitigation for the relentless pathos/rage /pathos beats in the relationship between the two gay guys, Mitchell and Cam. And for sitcoms in general, someone else has worked out a Sitcom Code that he maintains to be true of the structure of all sitcoms, everywhere. All the same, Engber does seem to be onto something. Why do we want to jump hand in hand – couples tend to watch and respond as a team – into the hot tub of loving to love the same TV shows, for reasons that some critic that we read in some column somewhere really nailed? Maybe TV talk is just a happy social oasis amidst all the other things that we might violently disagree about. Would that we were so passionate. Sure, it can feel good to pile on and lavish praise on something that all the assembled have agreed is praiseworthy – or would, if they could only find the time to keep up. If you add up thirteen 45 minute episodes multiplied by four or five seasons….Well, as Engber points out, it can take up to 80 hours of prep time to be able to participate fully in one of those weightless little dinner party exchanges about Breaking Bad, or the sixth season denouement of Justified. The compulsive aspect of all this began with The Wire. (And for a certain group, with Deadwood.) You not only need to have watched The Wire’s five seasons but should also be able to name – on demand – a favourite season. 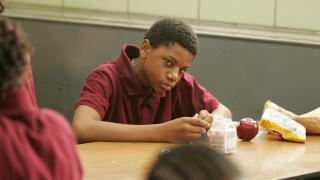 The safest bet seems to be season four, the one about Baltimore’s inner city education system (Oh, the kids ! Poor Dukie ! etc) and season two ( about trade unions and stuff on wharves) is the safest one about which to express a few reservations. 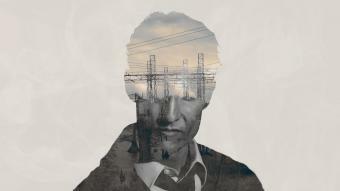 Last year, TV mania probably reached its peak moment, with True Detective. Quite deliberately, that show dropped a trail of conversational bread-crumbs right through its narrative (eg The Yellow King, Carcosa ) that it never ever got around to properly explaining, or justifying. We may become obsessed more frequently than before, but our obsessions are narrower….. One hundred forty million people watched the miniseries Roots. Eighty-three million watched the conclusion of Dallas’s “Who Shot J.R.?” storyline. Thirty-five million people watched the first episode of Twin Peaks. 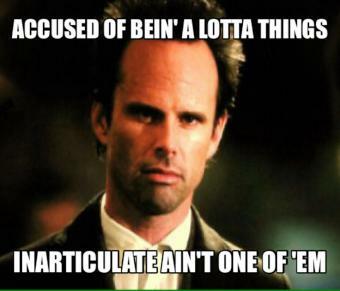 Just 3.5 million people watched the finale of True Detective the night it aired. Fewer than 1 million people tuned in for the Season 1 premiere of Girls. Only 200 to 250 cronuts go on sale each day. The bar for what constitutes something “everyone” cares about is a lot lower than it once was. Even so, these figures don’t ( quite) support the argument that obsessive TV chatter is a form of compensation for the death of the so-called “monoculture.” Paskin’s numbers only go to prove that more people used to watch the same shows than they do now. Yet the fact more people used to be aware of the same TV shows, or of the same Beatles songs doesn’t mean all that much, in the end. In the hey-day of the ‘monoculture,’ different responses – often based on class divisions – ran so deep as to make the term virtually meaningless. Socially, if we were divided then about the same things, is that much different from being united now about a lot of different things?